It’s important that you take into account all of your finances if you want to ensure that you and your family’s living conditions are stable. 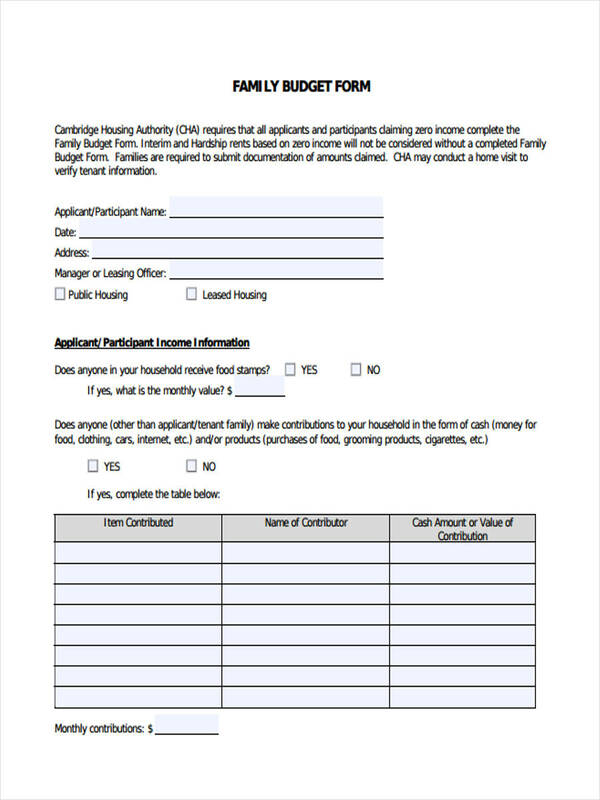 Free Family Budget Forms are available here to help you out. It’s always important for just about everyone to make a budget. Making a budget ensures that you know where your money is going, while at the same time allowing you know just how much you’re making. This helps guarantee that you don’t go over your budget unless you want to lose more money instead of making it. What is the Importance of a Family Budget? It’s very important for every family man and woman to guarantee that they keep a strict budget on their family expenses. This ensures them that they’ll be able to have all the necessities such as, food, clothing, and shelter, while still being able to enjoy other activities such as movies or dinner outs. 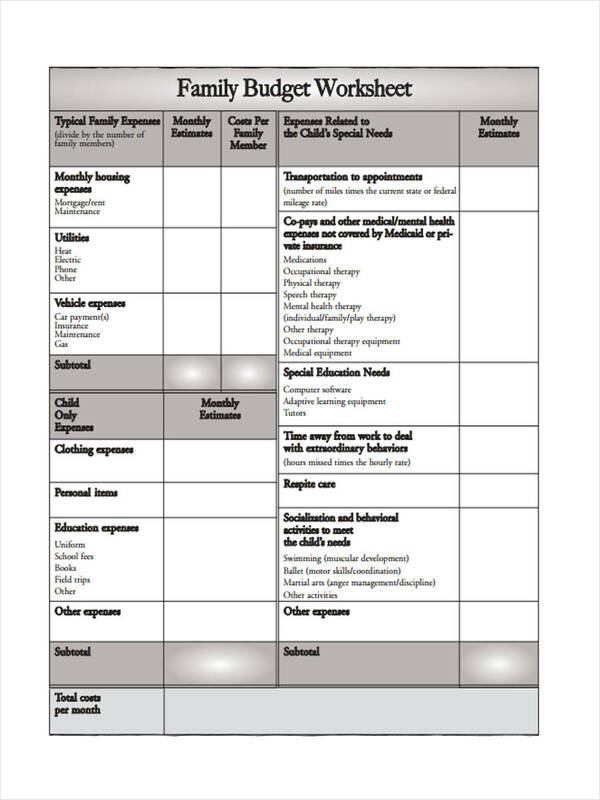 So it’s best to use these forms in specific events, such as when you’re keeping track of your family budget within a month with Monthly Budget Forms. You’ll just need to know which Budget Forms to use. 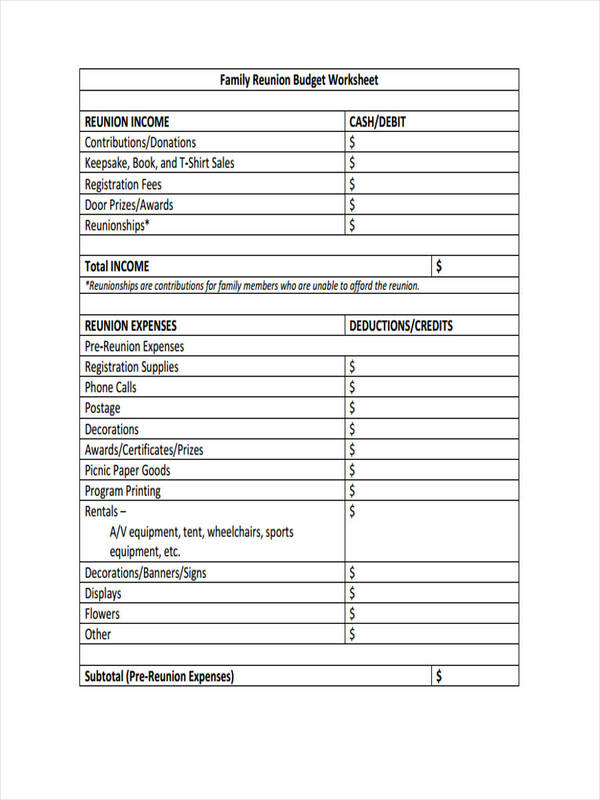 Miscellaneous expenses that you have the option to cut out if necessary. Take all of that into account if you’re going to plan a budget for your family. There are even other budget forms like Travel Budget Forms in which your family can use to keep track of how much is being spent on a trip. 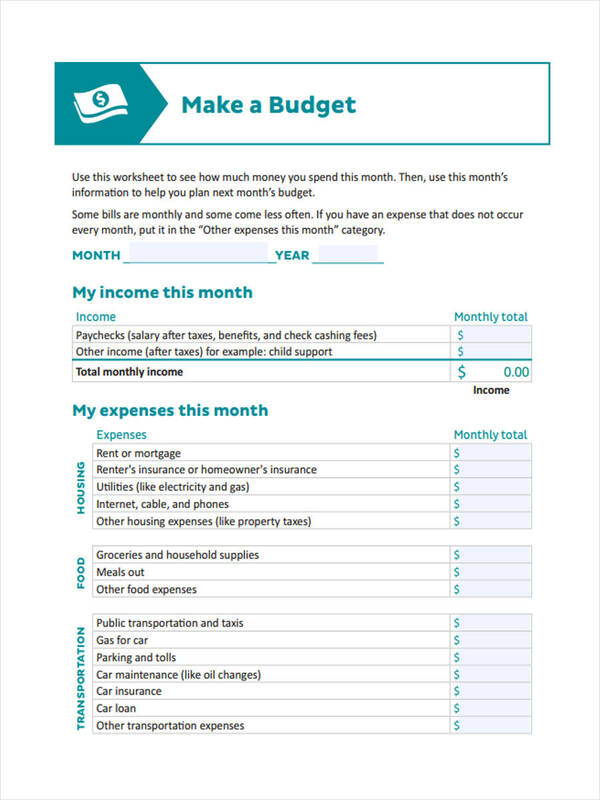 Make sure that if you use something like Household Budget Forms, you’re aware of what you’re spending to ensure you and the members of your family can have it easy. 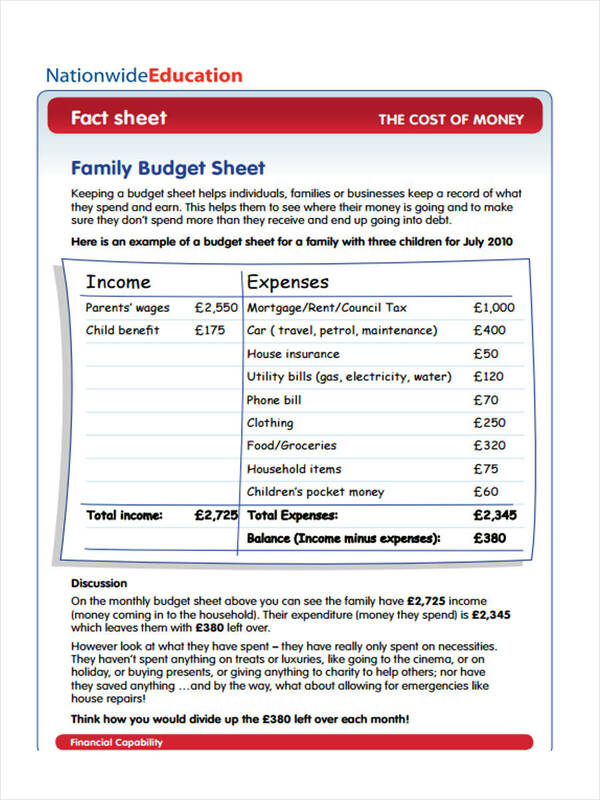 What are the Components of a Family Budget? The components of the family budget require that every account and expense made is detailed. Not just yours, but everyone else’s. Assuming that you’ve indicated both you and your spouses salaries, you must have also taken into account the expenses the both of you make. But what if you have children? You’ll also have to look into all the expenses needed, such as their school, their transportation, and their food. 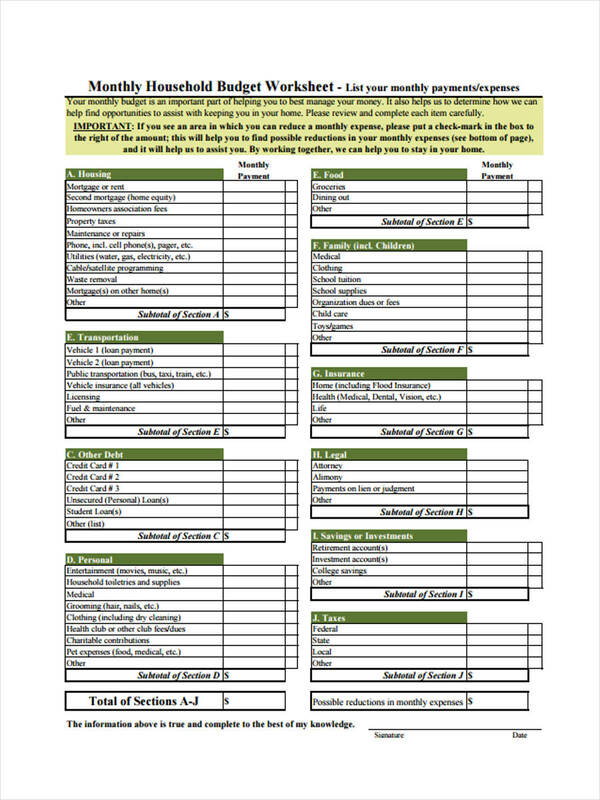 So it’s best to get everything ready ahead of time, through the use of Annual Budget Forms to see what you’ll most likely be saving and spending within the year. 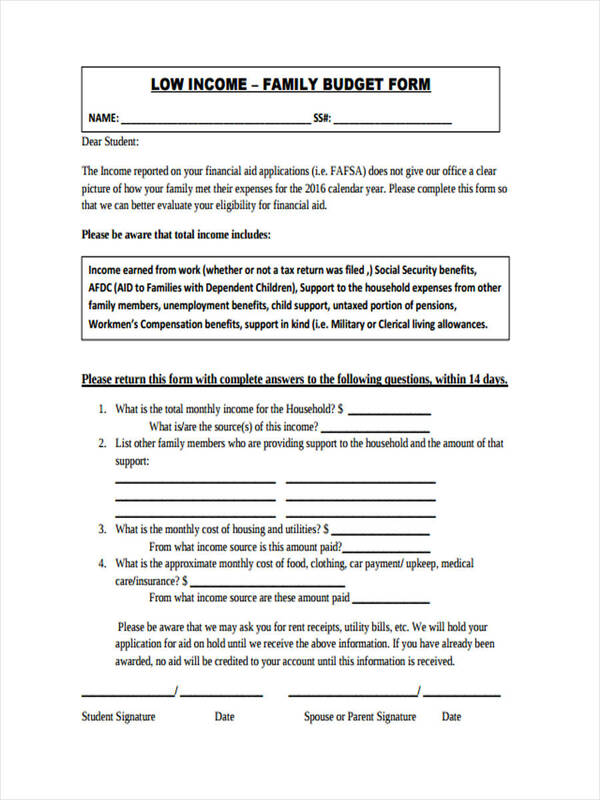 If you need to print these out, then there are Budget Forms in PDF format that can help you. If you’re going to create one, then it’s best that you be as organized as possible. It is recommended that you use Microsoft Excel and make a sheet that shows the flow of your money. This can also be useful for those who decide to use Wedding Budget Forms and to keep track of the flow their wedding money, or for those who decide to use Event Budget Forms for when they need to plan any event.